Happy 2015! Hope you had a safe and fun New Year’s. 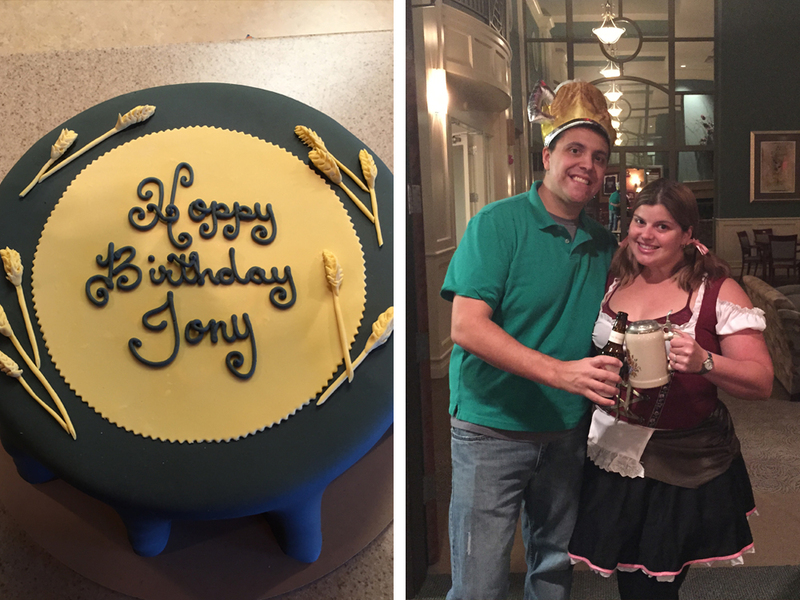 My husband’s birthday is Dec 31 and he rarely celebrates his birthday. It’s a mix of the stress that comes with throwing a “New Year’s” party and not wanting to be the center of attention. 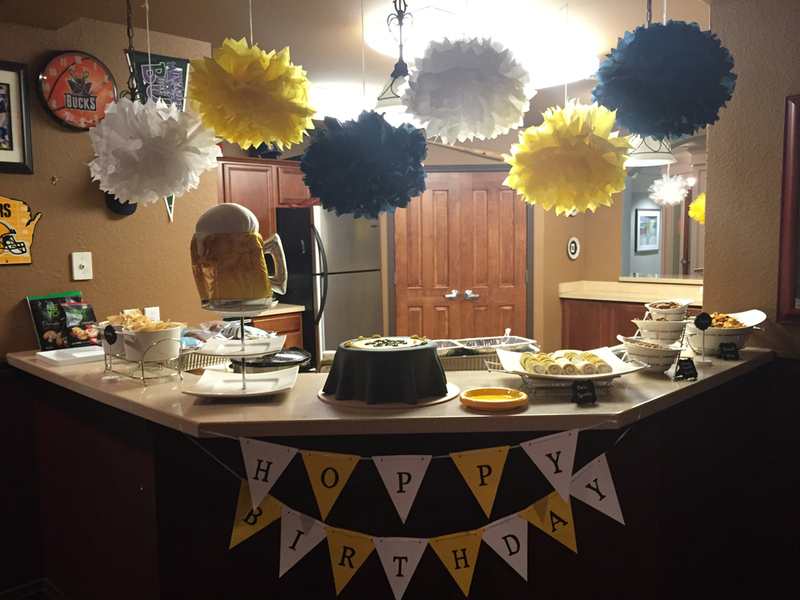 However, this year I was able to talk him into letting me throw him a birthday party! 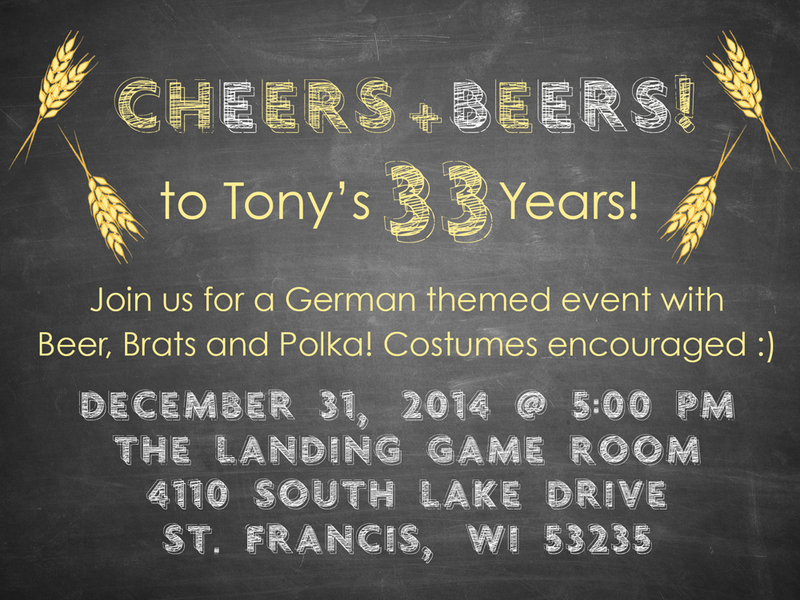 Being a good Midwestern boy, he loves everything beer and German themed. 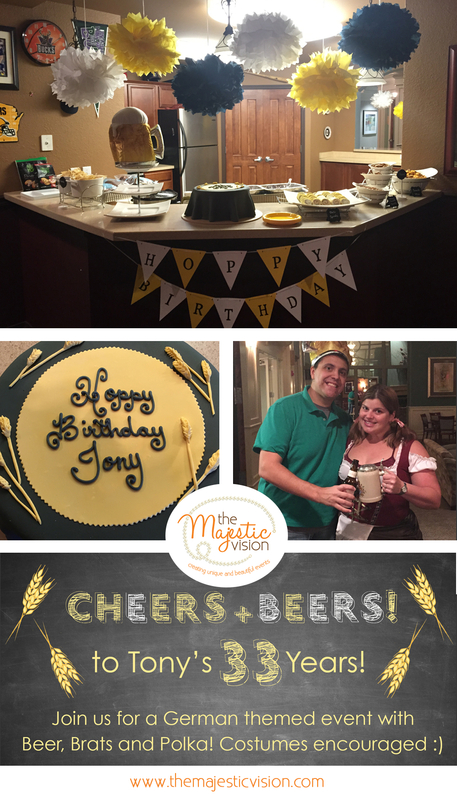 So instead of fighting that fact, I embraced it and planned “Cheers and Beers” – a beer themed birthday party. We invited all of our closest friends to game room in our condo building and had an amazing time. The AMAZING cake was provided by The Cake Lady in Milwaukee. It tasted as good as it looked! I didn’t take a lot of photos, since I was too busy playing hostess, but here’s what I have. Please excuse the iPhone quality of these photos. If you need help creating your dream event, please feel free to contact us! We’d love to be a part of it! Where Our Work’s Been Featured!